sins of the world by His death on the cross. His precious and perfect blood atoned for our sins. All who accept Him as their Lord and Savior by faith, are saved from perishing in hell. The following is sufficient to save all sinners. Romans 10:9-13, “That if thou shalt confess with thy mouth the Lord Jesus, and shalt believe in thine heart that God hath raised him from the dead, thou shalt be saved. For with the heart man believeth unto righteousness; and with the mouth confession is made unto salvation. For the scripture saith, Whosoever believeth on him shall not be ashamed. For there is no difference between the Jew and the Greek: for the same Lord over all is rich unto all that call upon him. For whosoever shall call upon the name of the Lord shall be saved.” We believe the saved are eternally secure and have everlasting life. How to be saved. We believe that the only legitimate marriage is the joining of one man and one woman; and that God has commanded that no sexual activity be engaged in outside of a marriage between a man and a woman. “Therefore if any man be in Christ, he is a new creature: old things are passed away; behold, all things are become new.” November 17, 1992 was the day of salvation for me. It was on that day while attending a Bible college in Oklahoma City, Oklahoma that a leather lunged, purple faced evangelist preached a stirring sermon from the text Romans 12:1-2. Upon closing the preaching he gave an invitation to trust Jesus Christ as my personal Lord and Saviour and I went forward and did just that – I got saved and became a new creature in Christ. My sins are forgiven, Heaven is my home, and Christ is my hope. Since that day the Lord has allowed me to prepare for and participate in the ministry of His dear Son. I answered the call to preach May 1, 1993 and after several turns, hurdles, bumps and some smooth roads God led me to the Heritage Baptist Church in Post Falls, Idaho in December 2000. 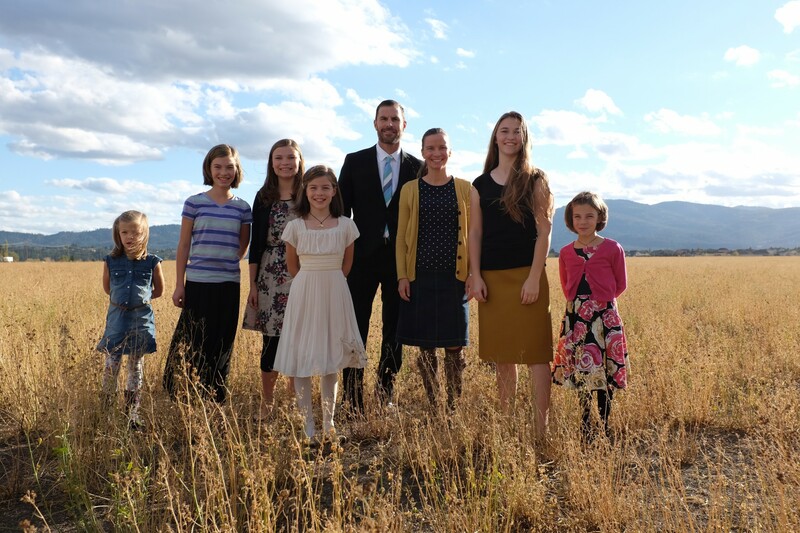 It is here that I have been serving the Lord with my wife, Karen, and six daughters. The Lord has seen fit to bless us with a wonderful congregation from diverse backgrounds who now strive together for the faith of the gospel. opportunities to worship that HBC provides. I grew up in a family that went to church, especially during the holidays. I believed in Jesus, that he really did come and die on the cross and that He rose again, but had no idea that He did that for me, for I never heard, or at least don't remember being told, that I was a sinner in need of saving and that's why Jesus came. The Bible was read at least two times a year as my grandmother would read to the whole family every Thanksgiving and Christmas. In my early teens my parents got a divorce which really made me bitter. I felt that somehow God had let me down and let my parents get a divorce. Fast forward to my high school years, where I was pretty much left to my own, not good. Graduated and started working for my dad who owned a grocery store. My dad took to drinking and ended up losing the store which left me out on my own again. My older brother was into the drug scene and started to pull me into it. That was until one morning my older brother asked if I ever read this book called "Late Great Planet Earth" by Hal Lindsey. I said that I hadn't and he gave me the book and I read it cover to cover in one sitting. Needless to say that book pointed out a startling fact, the fact that Jesus Christ was coming back to this earth. I had never considered Jesus coming back, let alone the battle that would take place when He did. That made me think! If Jesus is coming back, who's side would I be on? His or the devils. At that point I started reading the Bible, everywhere, anywhere, I needed to know what it would take to know that I was on the right side of this Jesus issue. During this time my older brother decided that we should take a trip to Aspen, Colorado. So late one evening we left central California and took off for Aspen. I was the designated driver so I drove straight through the night to a place called Needles, California. We pulled into the motel early in the morning and rented a room to rest up. While there, my brother and another friend went out to the pool, as it was already in the mid 80's, while I went into the room to read my Bible. While reading the Lord convicted my heart and I knelt there by my bed and asked the Lord to take control of my life and he did. Needless to say I was a changed man. My eyes were opened and evil seemed to be ever present. All I could think of was getting back to my mom’s home to help her raise my younger brothers and sister and go to church with her. I now knew that I was on the winning side. Jesus was my Savior! So at the age of 21 Jesus Christ saved this sinner, and has never left me, nor has He ever forsaken me. Years later I found the love of my life Lisa Brown. We fell in love and have faithfully served the Lord our whole married life. We have three wonderful boys, and at this time, 5 grand children. The Lord placed me in the ministry. We spent 1 year on the mission field in Canada, and then I served as pastor of the Heron Baptist church for 13 years. 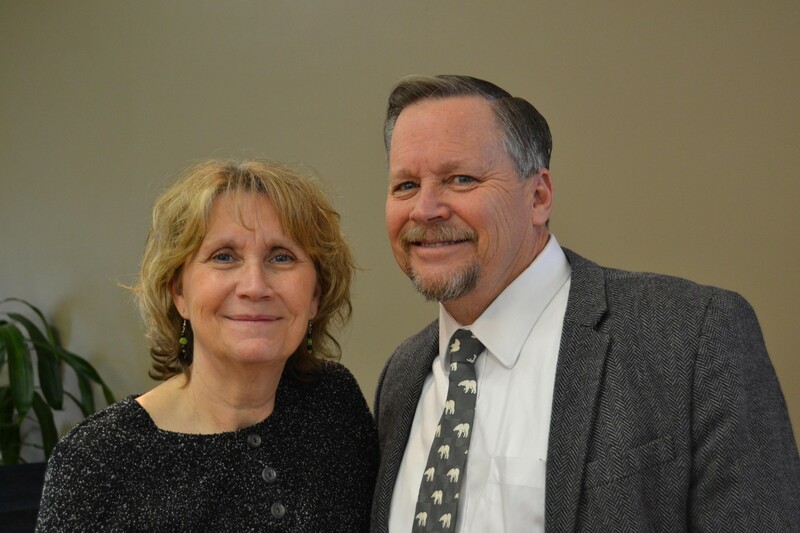 Recently, the Lord has moved us back to our sending church of Heritage Baptist Church Post Falls Idaho, where I am currently serving as the assistant pastor to Pastor Tim Haveman.